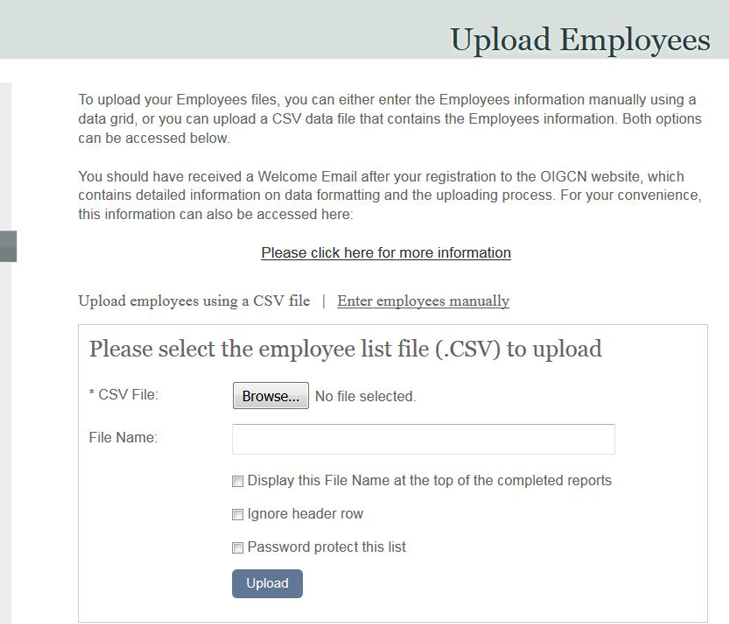 Our Sanction Screening customer portal makes it easy to submit your employee and vendor lists. 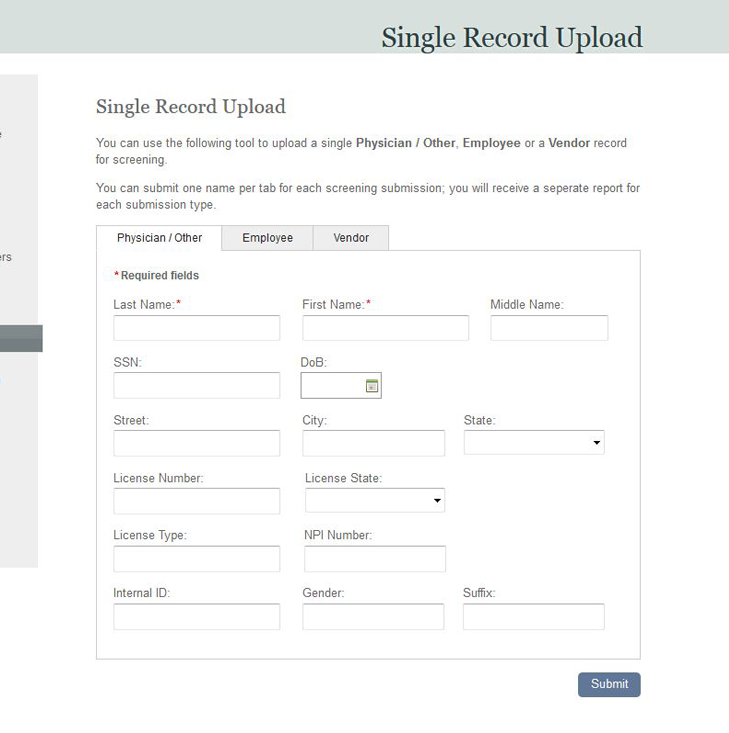 We run them against several databases to find any excluded entities or employees. 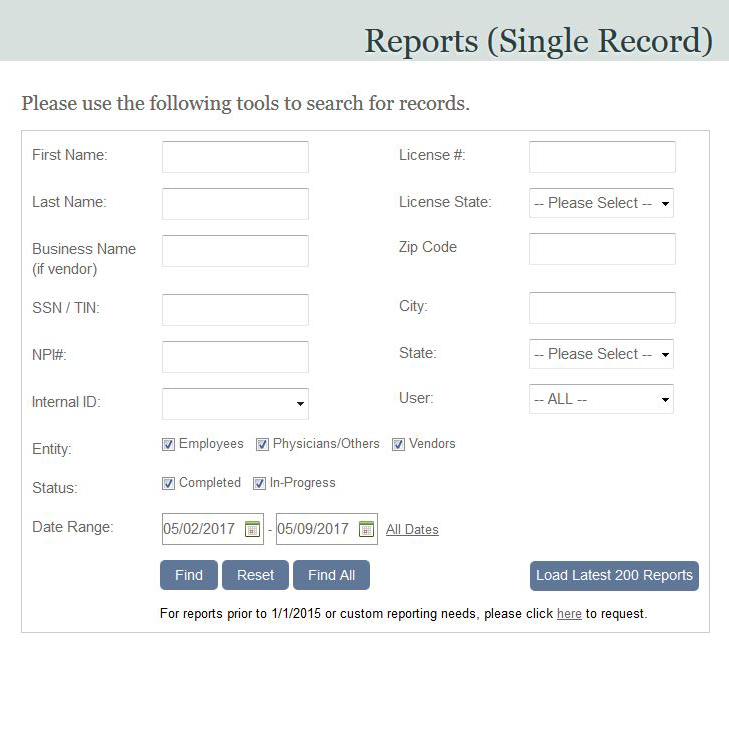 Then you receive monthly reports listing all verified entities and employees that have been excluded.